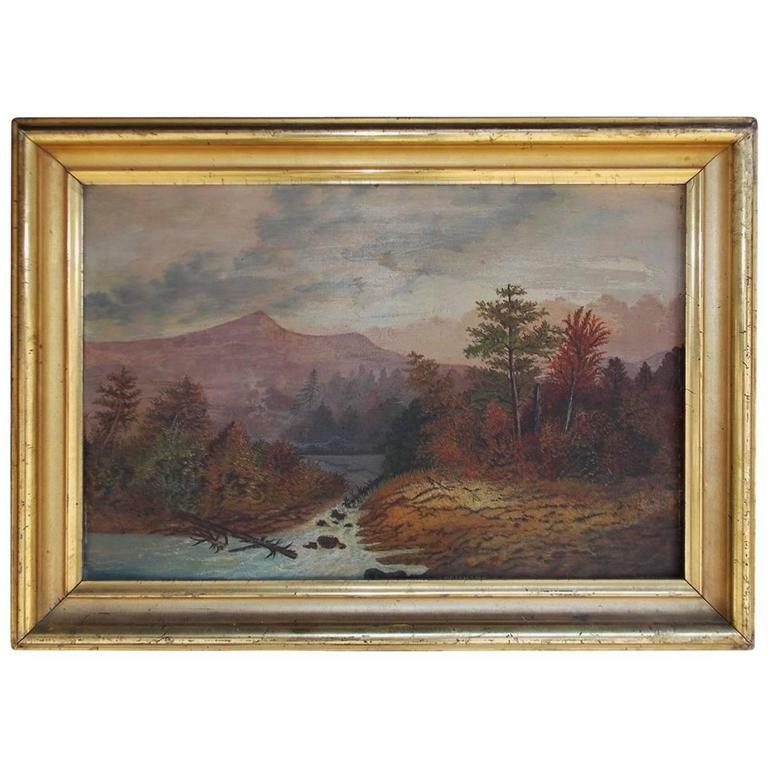 American school oil landscape on academy board in the original gold gilt molded frame. Landscape depicts Hudson Valley with mountains in the background, trees in the foreground and a flowing rocky stream, Early 19th Century. Inscribed Mrs. Demming in Verso.